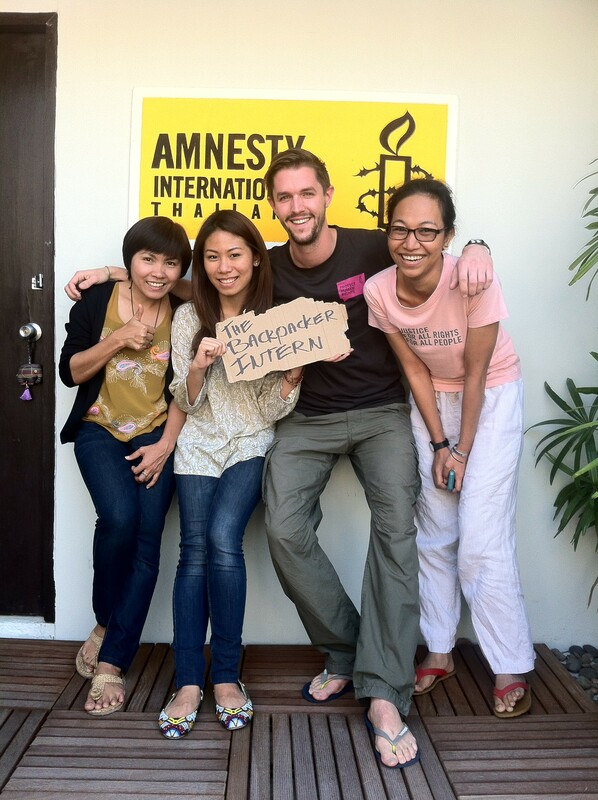 The sweet people of Amnesty International Thailand were a great host for my first internship. They gave me an awesome briefing for a Global Campaign. Goal: become part of Amnesty International and help to stop torture. I’ve worked on it for two days and presented my ideas today. They really liked it and now we are going to see how we can make this happen. Luckily they didn’t forget the ‘food and a place to sleep’-part of my internship. 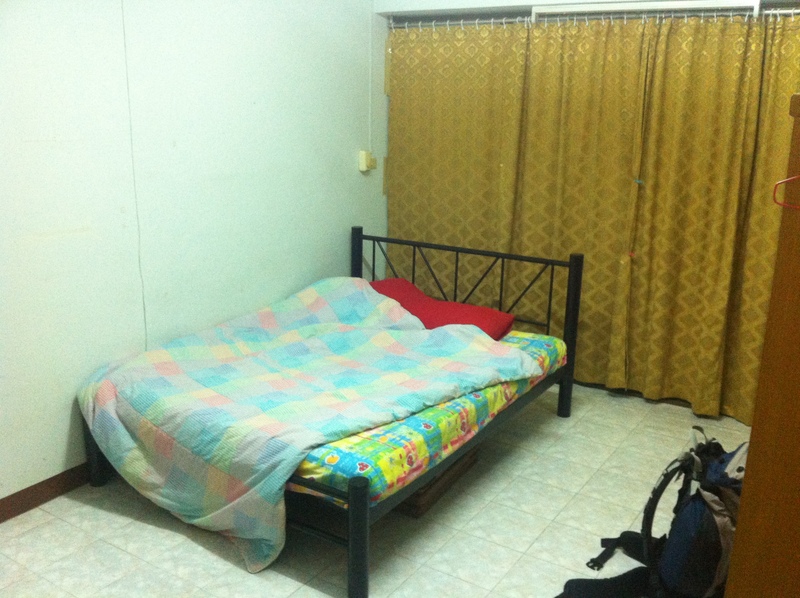 I got a private room with a kingsize bed that is situated only 50 meters walking from ‘ze office’. I’ve never lived so close to my job before. They also gave me lots of typical Thai food to taste. 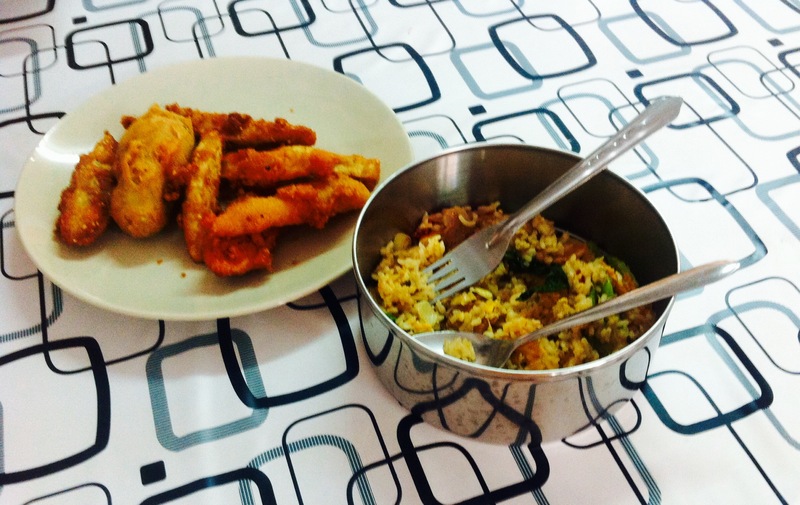 I especially liked the fried rice and sweet pumpkin. For breakfast I got dried pork with sticky rice. I never thought I would eat it but actually it’s very tastfull. Well that’s about it for this internship. 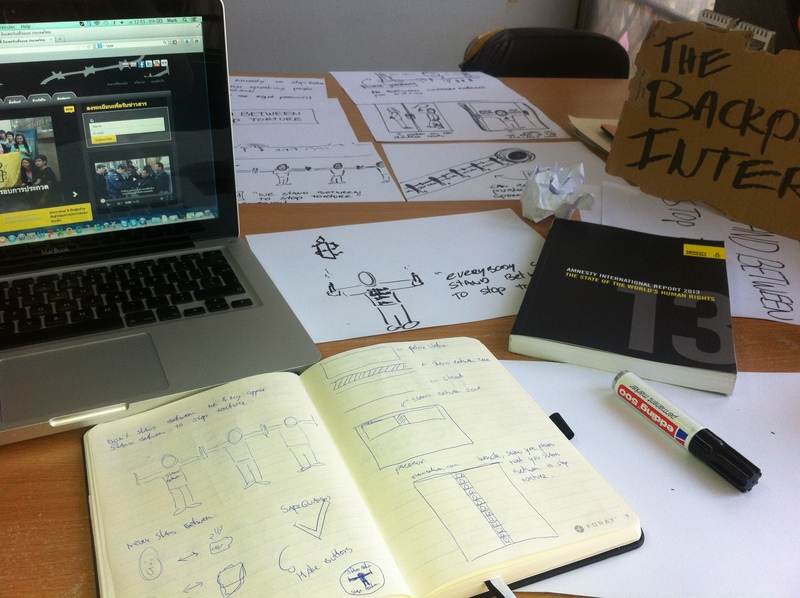 A very big hug for you guys at Amnesty International. We will meet again. On monday I’ll start my internship at McCann Worldgroup Bangkok. But now it’s time to wander around the nightlife of BKK again. And yes mom, I will be carefull with the protests. Love you. 🙂 Super nice to read about all your adventures. Keeps me awake and triggers not only my, but the whole worlds, creativity. Enjoy this time, I guess your life will never be the same afterwards! See ya! If you’ll ever come home again.. Otherwise we’ll meet somewhere! welcome to Thailand and sorry for inconvenience in Bangkok . So please enjoy with shopping market at Jatujak. There is a lot of creative product and don’t miss to visit to museum siam and TCDC the design Library at Phrom Phong BTS Skytrain Station. LET’S HANG OUT WHILE YOU ARE STILL IN BANGKOK !!!!! hello, i’m thai people and i saw your project trip from a blog. it is interesting and i’m glad to hear that you have a nice time and new experience in Thailand. Hope you have a safe and good trip in Thailand. And thanks for your sharing very nice experience. Sounds great Mark, good luck on your continued adventure! We hebben vandaag jouw site doorgekregen via oma! Meteen gaan openen en jouw eerste reisverslagen doorgenomen. Het ziet er geweldig uit. Was ik nog maar wat jonger! We leven met jou mee en zijn vooral benieuwd hoe het verder met jouw avontuur gaat.